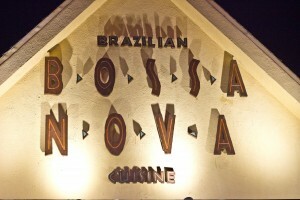 For the longest time, I wanted to eat at Bossa Nova. I always plan on eating there for lunch or dinner, but something else comes up or I go eat somewhere else. Finally, I made it here and the experience was pleasant. 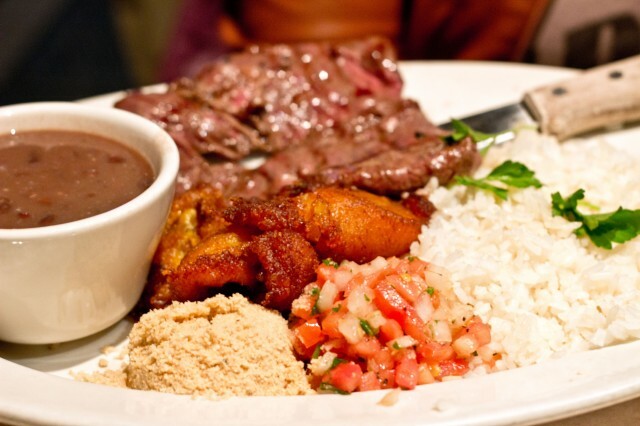 The only brazilian food I am used to is the BBQ. Whether it be M Grill in Koreatown or Fogo de Chao in Beverly Hills, the endless meat is what I go for. Maybe that is what kept me hesitant about Bossa Nova for so long. The Sunset location was somewhat packed that night with a 30 minute wait. Waiting all that for semi-outdoor seating was a bummer. After the food came out, I wasn’t really complaining. 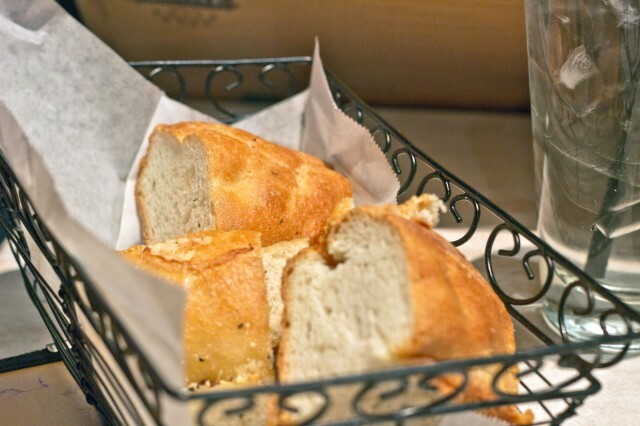 The night started off with complimentary bread. Not particularly a favorite, the bread was a bit boring. It wasn’t really soft, warm, or chewy — it didn’t have any qualities of being good bread. It felt like they served it just because. Not that there isn’t anything wrong with that, it was free afte all. The chicken brochette is probably the most decadent thing I had in a while. It was a fried on fat on more fat combination of pure bliss. 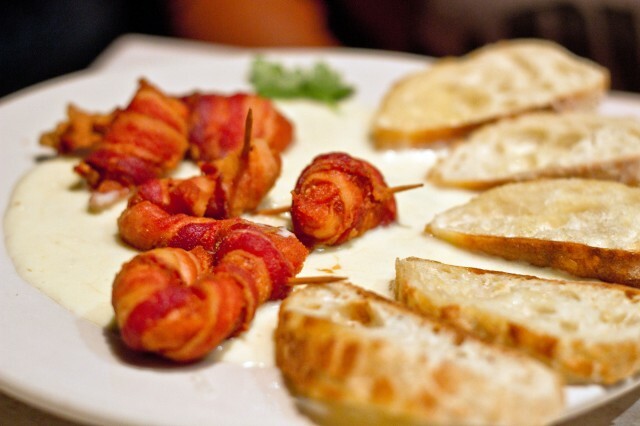 Fried chicken breast wrapped in bacon sat in a vat of gorgonzola cream sauce. Served with a side of sliced bread (which was way better than the bread they gave us), this appetizer was tasty. The bacon was crispy and salty, and the chicken inside was moist and tender. It was a perfect match in taste and texture. To top it all off, the gorgonzola cheese sauce made everything just pop. It was warm, creamy, and delicious with all that blue cheese funk. This was a killer dish for sure. To keep this fried on fat on fat theme going, we ordered the deluxe dutch fries. These were french fries with a drizzle of homemade gorgonzola sauce and crumbled gorgonzola cheese. I did not like this dish at all. The fries came out nearly cold, leaving the fries soggy and soft. The gorgonzola sauce didn’t help stiffen them up either. It was just a mash of limp fries and fatty sauce, with not a lot of crumbled blue cheese. I think if this was made perfectly on the spot, it would be perfect. 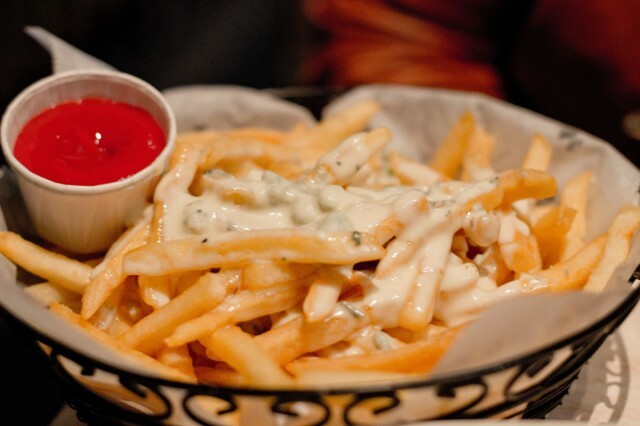 Imagine perfectly crisp and crunchy fries, warm cheese sauce and gorgonzola. This perfect recipe for deliciousness was just a disappointment. The night was saved by the main dish. I ordered the flank steak picanha. The flank steak was cooked nicely to a medium rare, but the side items were what made this dish exciting. The white rice and black beans were simply cooked and gave the dish balance. Eating everything with the salsa made everything pop. The most interesting thing on the plate was the yucca flour. It had a very crunchy texture, almost like eating granulated glass. I know that may sound unappetizing to some, but it had a very mild flavor which and added the crunch. Everything was perfected by the fried plantains. The sweetness helped give my taste buds diversity. This was a well balanced dish and wouldn’t go with anything else. I saw a lot of people order pizzas and pastas, but I wanted to reserve that for next time. I felt like I owed myself to have Brazilian BBQ that wasn’t all you can eat. This meant no filling up on pao de queijo and It wasn’t about eating a years worth of meat. This experience was more casual — pay for what you eat. For that, the food tasted better in some way. After my meal, I was beyond stuffed. I wondered how I could ever and why I would eat more. The price was affordable and everything was exactly as expected. No frills. Just good food. 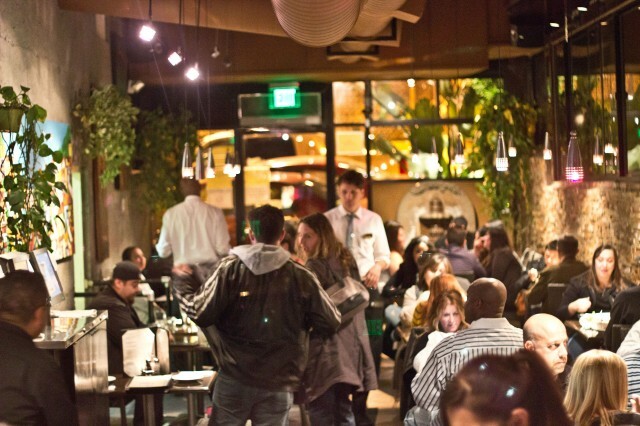 Bossa Nova is a popular spot amongst Angelinos. Next time around will be pizzas and pasta, Bossa Nova style.